We are now accepting consignments for 2018! If you are interested in consigning, please contact us- space will be limited! All yearling/weanling consignment fees are due by June 20th and applications are due by July 1st. Saddlehorse and Broodmare consignment fees and applications are due by July 1st or earlier if maximum allowed entries are recieved. 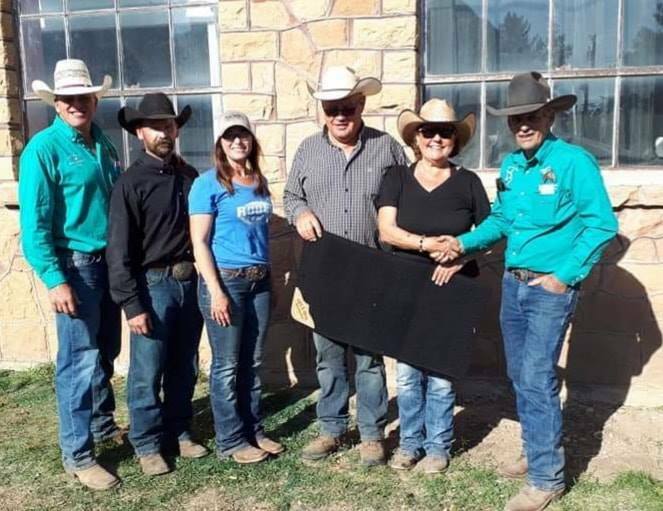 SBLSA board members Vern Ward and LeRoy Wetz presented a custom saddle blanket to Haight Ranch for having the high selling saddle horse. The blanket was donated by Lazy H Y Corral of Carr, CO.